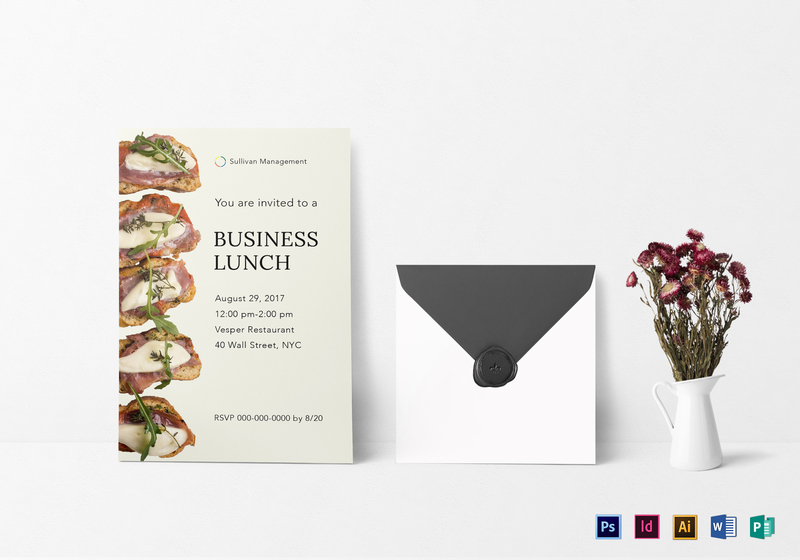 Entice invitees with this appetizing and mouth watering Business Lunch Invitation Template. 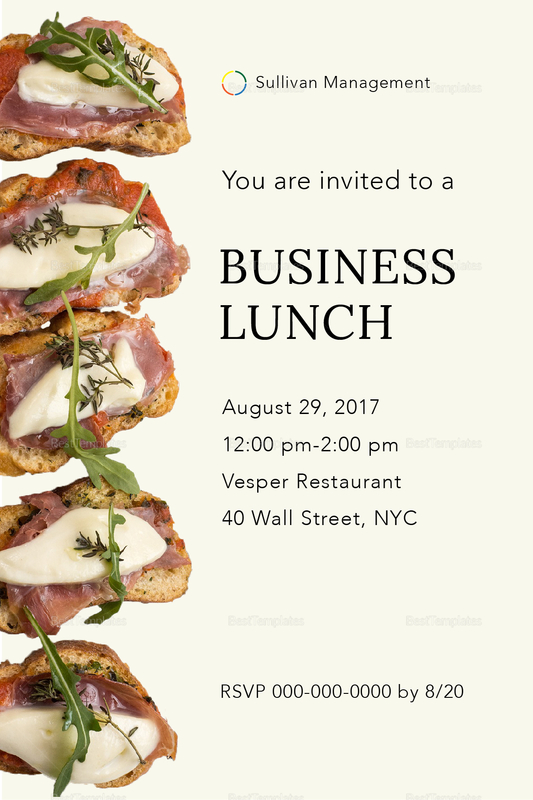 Download this template now and get instant access anytime and anywhere. 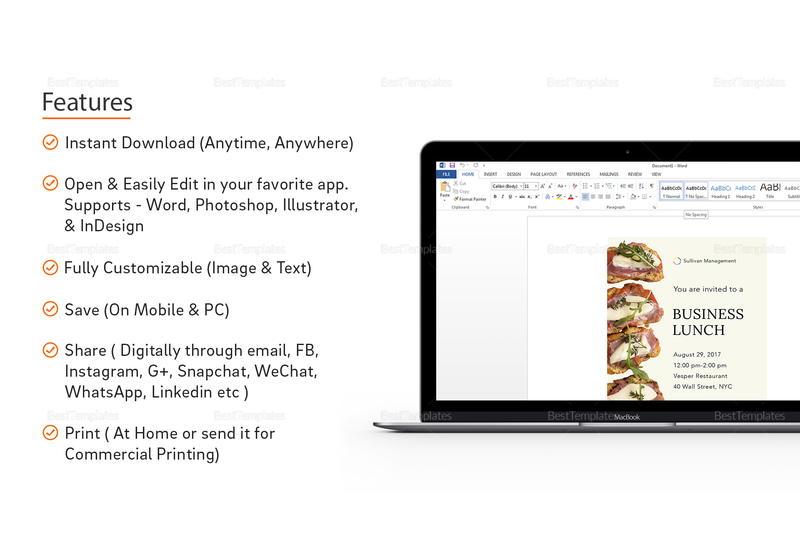 Easily open and edit with your choice of app or program that is compatible with file formats for Illustrator, InDesign, MS Word, Photoshop, or Publisher. Print commercially or personally and share via email or your social media accounts.